Clarke University announces the addition of competitive esports. Esports is competitive gaming and is organized, multi-player video gaming. The addition of esports brings the number of intercollegiate sports offered at Clarke University to 21. Esports is a growing phenomenon on college campuses and is one of the fastest growing varsity programs. Since its inception in 2016, the National Association of Collegiate Esports has grown from seven schools to over 50, with more being added every year. 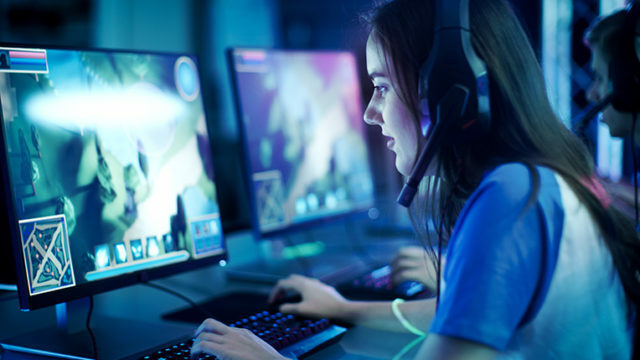 Clarke University is at the front of a growing movement as St. Ambrose University, Grand View University, Morningside College, and Hawkeye Community College are the only Iowa schools with competitive esports programs. The esports team will be led by coaches Josh Moris and Mike Dempewolf, Computer Information Systems faculty at Clarke University. Moris and Dempewolf are recruiting now for the spring 2019 competition season. Clarke will compete in the League of Legends North American League North Division. The Clarke University Admissions Office is hosting a Computer Information Systems visit event on Friday, April 13. The visit day runs from 9 a.m. – 2:30 p.m. and is a free event. For more information and to register for the event, visit www.clarke.edu/cisworkshop or call (563) 588-6316.